Travelling to East London Physiotherapy & Sports Medicine from Aldgate is a straight forward journey. You will need to take either the circle of metropolitan line on the London Underground to Liverpool Street Station. You will then need to change for the Central line eastbound for Stratford. This is a short journey and your overall travel time on the underground is no longer than 12 minutes providing all services are running with disruptions. Travelling to East London Physiotherapy & Sports Medicine by bike from Aldgate is approximately a 25 minute journey. This method of travel will take you through the picturesque cycle paths of the Queen Elizabeth Olympic Park and provides fantastic new views of the developing London skyline. Travelling to East London Physiotherapy & Sports Medicine by car is approximately a 25 minute journey from Aldgate. 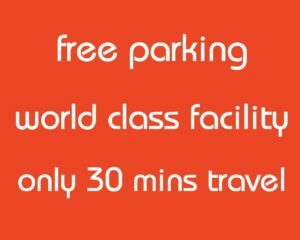 As part of your physiotherapy treatment you are entitled to free parking, however you must enter your vehicle registration in to one of the parking terminals to obtain a ticket to display on your vehicle. You will need to do this on each visit in order to avoid a penalty charge notice and it is your responsibility to be aware of when your parking time starts and ends. There are four terminals where you can obtain a ticket, they are; the track centre counter, the BMX/Mountain bike tunnel area by external lockers, the external tunnel exiting on to the road circuit plaza and the inner changing room corridor by the first set of lockers from reception. 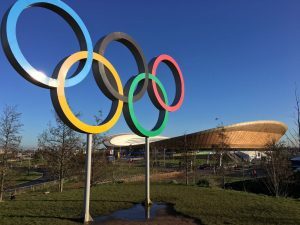 There are several bus routes connecting Stratford and Queen Elizabeth Olympic Park with the key routes being: 388, 308, 339, 97 which all stop near Lee Valley VeloPark. You can access these bus routes from Stratford's main bus station.